LoveNokia | Latest News and Information about Nokia Mobile: UPDATED | Nokia Mobile's "next big unveil" on 21st August in India | What to expect? 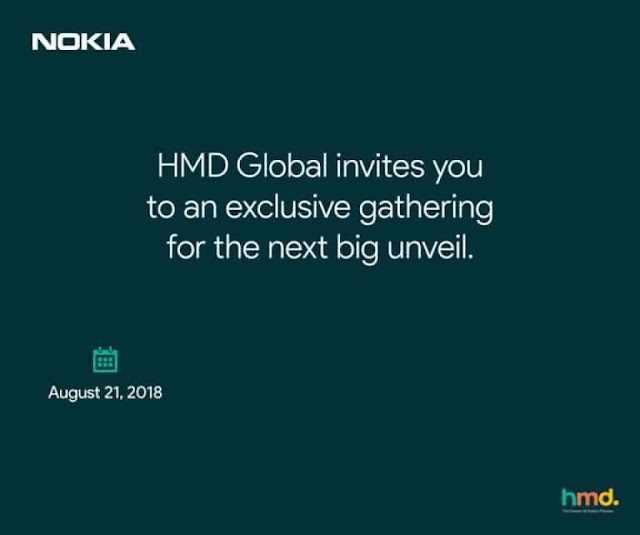 UPDATED | Nokia Mobile's "next big unveil" on 21st August in India | What to expect? Last week, Nokia Mobile started a contest where fans had to share their favorite Nokia smartphone experience and 50 Nokia Fans/Entries would be selected to witness the next Nokia Mobile launch event live in New Delhi. This contest gave us a hint that Nokia Mobile is planning to hold a launch event in India soon. And yes, Nokia Mobile has sent out invitations for their "Next big Unveil" which will be held in New Delhi, India on 21st August. So, the date is here and Nokia Mobile will announce something new if we go by the "Next Big Unveil" mentioned in the invitation. But What? Here is what we think Nokia Mobile will show at the launch event. These are the phones which got a lot of attention recently and many Indians have been requesting HMD Global to bring these to India since the time they were launched as Nokia X6 and Nokia X5 in China. Since then the Nokia X6 has been launched in Hongkong and Taiwan in the form of Nokia 6.1 plus with the Android One ROM and we are expecting this phone to be launched in India on 21st August at this launch event. However, we aren't sure if the Nokia 5.1 plus will be launched as Nokia 5.1 hasn't been launched yet. Nokia 2,1, Nokia 5.1 and Nokia 8110 4G are still not available in India and we are assuming that Nokia Mobile will announce their pricing and availability details at this event. As the Android Pie is released officially and Nokia 7 plus was the only Nokia device to participate in Beta program we assume that Nokia Mobile will also reveal something about the official release date of Android Pie for Nokia 7 plus. Nokia 2.1 and Nokia 5.1 have been launched in India so we might just see the Nokia 6.1 plus being launched at this event.